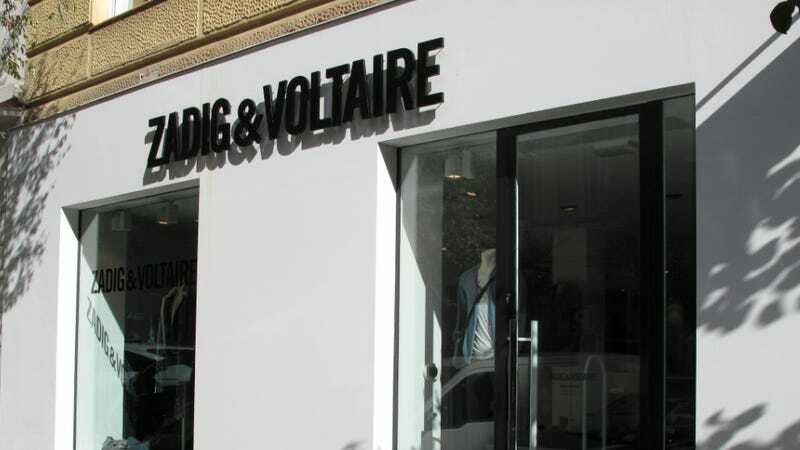 French fashion brand Zadig & Voltaire plans to open a hotel in a renovated building in Paris that was once a private mansion. But, says the founder and owner Thierry Gillier, when the hotel opens in 2014, "Chinese tourists" will not be welcome. It will be a slightly private hotel, not open to everybody, with 40 rooms. We are going to select guests. It won't be open to Chinese tourists, for example. There is a lot of demand in Paris — many people are looking for quiet with a certain privacy. So, that's a nice, bracing dose of racism and xenophobia! When word of Gillier's quote started to spread through the fashion blogosphere and Twittersphere — not to mention on the Chinese social-networking site Weibo — this weekend, accompanied by harsh criticism, WWD went back and quietly edited its story. Gillier's quote is now given as, "...We are going to select guests. It won't be open to busloads of tourists, for example. There is a lot of demand in Paris — many people are looking for quiet hotels with a certain privacy." No explanation was given for the change, and WWD did not see fit to mention that the article had been edited, which makes the switch extra sneaky. Did WWD correct an inaccurate quote, or cave to pressure from a luxury brand that felt a little burned by the reaction to its original statement? This trend is here to stay. Financial service group CLSA Asia-Pacific Markets projects that by the end of the decade the Chinese will be the largest consumer group for luxury products, accounting for 44 percent of the world's total. This means the highest names in French luxury — from Louis Vuitton to, yes, Zadig & Voltaire — will have bottom lines propped up by China. However you feel about the China's economic rise, slagging off your customers (or potential customers) is hardly a smart business model.